The short-and-sweet side of this review is this: I am fearfully in love, and you should be too. Yoko Ono, the frontier pushing, primal screaming, infinitely supreme goddess has given us an album thats worth boldly slipping into our party playlists, discussing relentlessly with near and distant relations, and passing out to basically anyone with at least on hand and two ears. 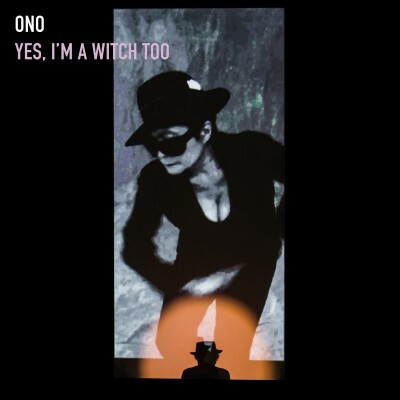 Yes, I’m a Witch Too (sequel to 2007’s Yes, I’m a Witch) is a collaboration/remix album: one part singles and deep-cuts from Ono’s massive discography, and one part interpretative freedom given to prominent modern-day musicians. The great thing about this kind of project is that no track, however how curious or distorted, sounds out of place; especially with Ono’s vocals providing a consistent backdrop to the ever-changing soundscape. Yet even with so many styles and musicians working in such a limited space (17 tracks existing damn near the hour mark), I am amazed at the level of continuity between the songs: instead of being a batch of mismatched remixes strung together, the album listens like an album—quite the accomplishment in its own right. The opening track, “Walking on Thin Ice (Maestro Version)” with Danny Tenglia, is lavishly filled with Ono’s chilling lyrics, slightly slowed, and a string arrangement befitting Lana Del Rey’s Born to Die; ultimately this creates a cinematic melancholy that pervades the remainder of the album, but only in the most listenable way. If your finger has been on the pulse of this album you have, no doubt, already heard Death Cab for Cutie’s interpretation of Ono’s 1992 release, “Forgive Me My Love”; it is sonically aligned with their newest venture Kintsugi, but with a glitchy presentation we haven’t heard from them before—easily one of my favorite tracks. Sean Lennon is one of the contributing artists, and given his apparent desire to distance his work from John and Yoko’s music, his presence here is surprising. Lennon presents an intriguing trance and shoegaze take of 1981’s “Dogtown,” making full use of Ono’s pronunciation of the word “dog” for percussive effect—if not an entirely impressive track, it is at least a novel one. “Approxmately Infinite Universe” with Blow Up is one of the most sonically unique songs: it starts with some Thin Lizzy–reminiscent riffs, quickly moves into a surf rock chorus, and briefly transforms into a dance track similar to Blondie’s “Heart of Glass.” Blow Up provides the kind of engaging diversity which is needed in this sort of album. The most unfortunate track is Moby’s iteration of “Hell in Paradise”; it is a constantly building, never peaking, 10-minute stroll about a programmer—a thorough disappointment. The decidedly menacing cover art acts as a re-iteration of the title. In a color palette of black, white, lavender and rose-orange, one is presented with a picture of a minute silhouetted Ono gazing upon a large looming image of herself projected onto a screen; giving the observer the impression that by some act of witchcraft Ono has been able to transcend her own being and exist purely by metaphysical, vicarious means.